Editor: As a criminal defense lawyer who’s done many motions to suppress evidence because of over-reaching by police officers of a defendant, I have experienced the dismantling of the Fourth Amendment by the courts, prosecutors and law enforcement. 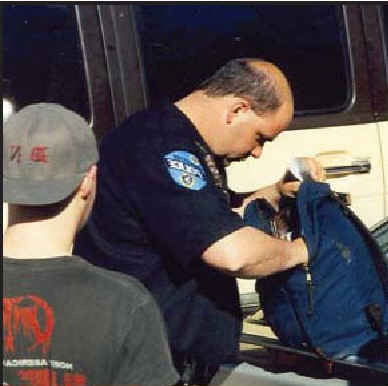 The Fourth Amendment – part of the invaluable Bill of Rights – guarantees us against unreasonable searches and seizures. Yet it has been seriously and dramatically weakened. Over the course of the last thirty – forty years, the courts – led by the Nixon Supreme Court, then Reagan’s justices, and then Bush’s appointees more recently – have added so many exceptions that the Fourth Amendment stands like Swiss cheese, so riddled with exceptions that it can barely stand up. Exceptions like ‘inevitable discovery’ and giving law enforcement such wide leeways in the reasons cited for stopping and searching vehicles and persons by judges have pushed the amendment close to its grave. This is why, the following article about today’s ruling on police searches of vehicles is greeted with more than a certain amount of enthusiasm. The ‘new’ Supreme Court may be on the verge of attempting to salvage what’s left of the Fourth Amendment. FG. Reporting from Washington — The Supreme Court put a new limit on police searches of cars Tuesday, saying that “countless individuals guilty of nothing more serious than a traffic violation” have had their vehicles searched in violation of their rights. In a 5-4 decision, the justices set aside a 1981 opinion that had given police broad authority to search cars whenever they made an arrest. Instead, the justices said that an arresting officer could search a vehicle only if weapons were potentially in reach of the suspect or if there was reason to believe that the car contained evidence related to the arrest. For example, if the driver was arrested in a drug crime, the car could be searched for drugs. Justice John Paul Stevens, speaking for the court, said that merely arresting a driver does not “provide a police entitlement” to search the vehicle without a warrant. He said the court’s past rulings had given police too much leeway, allowing them to search cars even when there was no threat to the officers’ safety. For example, if a motorist was handcuffed and put in a patrol car, there was no danger that he could reach for a weapon that might be hidden in his car. The lineup behind Stevens was unusual. Justices Antonin Scalia, David H. Souter, Clarence Thomas and Ruth Bader Ginsburg formed the majority. The case arose when Rodney Gant was arrested in Tucson for driving with a suspended license. His car was parked in his driveway, and officers handcuffed Gant and put him in a patrol car. Then they searched the car and found a gun and cocaine in a jacket in the back seat. Gant was convicted on drug charges, but the Arizona Supreme Court threw out evidence on the grounds that the search of his car without a warrant was unreasonable. 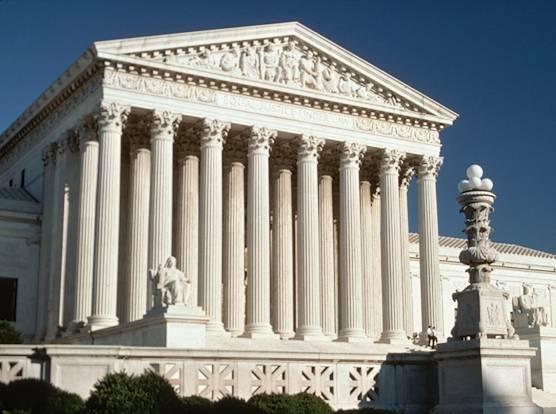 The U.S. Supreme Court affirmed that decision Tuesday in Arizona vs. Gant. The dissenters, led by Justice Samuel A. Alito Jr., said the court should have stuck with the old rule that permitted searches of a vehicle whenever a driver or an occupant was arrested. Do you think the justices get high? no, I mean really? do you think they tried pot in college? seriously, there are some judges who have tasted the herb. Justice Antonin Scalia is AWESOME!!! He is all about the Constitution….Go Tony!!! Stoner mic – I knew a judge that got high when he/she was younger. Alex Jones – are you standing in for the famous ‘Alex Jones’ or what? Justice Scalia does not believe in Constitutional rights as guaranteed to all of us via the Bill of Rights. He was instrumental in deciding that George W. Bush “won” the 2000 Presidential election. He gave away our liberties, almost destroyed the country. Yeah, he is awesome all right. He should be run outta town on a rail! Yeah, go Tony, get the hell outta Dodge (and our country while you’re at it)! Once in a great while, he’ll side with the liberals. But he has done so much damage to our laws, that this hardly makes up for it. Frank Gormlie – How is Scalia’s deciding the 2000 Election and thus stopping the liberals from throwing the election giving away our liberties? If anything ACORN has destroyed this country with throwing the election in favor of Obama.